If your job involves prolonged sitting, like so many individuals that work in an office space or corporate environment, you may experience the pain and discomfort caused by poor posture. Prolonged sitting for desk work can lead to muscular and skeletal imbalances. Your skeletal system gets used to the hours of sitting in an unnatural position, wreaking havoc on your body, posture, and causing more serious long-term issues. Continuous daily sitting affects posture and can also cause physical pain, strain, and discomfort. Essentially, your desk job causes bad posture. 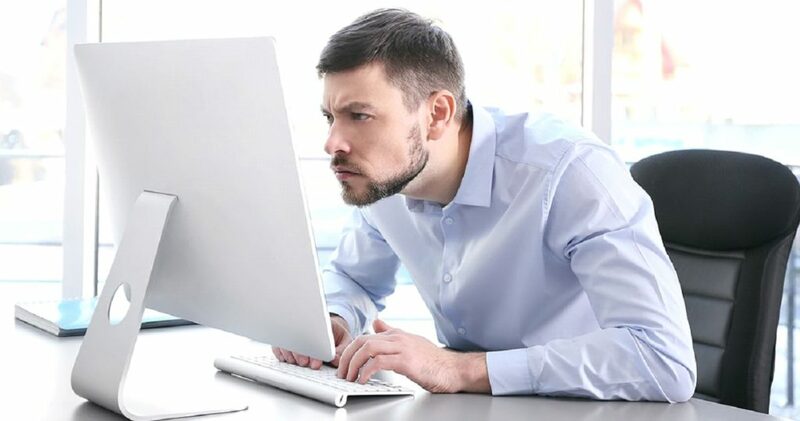 There are several factors that can contribute to poor body positioning and posture, such as incorrect sitting posture, a poor work environment, decreased flexibility, and unhealthy sitting and standing habits. Sitting all day isn’t good and sitting with poor posture is even worse. Studies have shown that bad posture can reduce energy, contribute to depression, cut off blood flow circulation. Unlike physically active jobs, work done while in an office at a computer makes physical activity difficult–it’s up to you to stay productive and care for your posture. Luckily, there are a few steps that you can take to correct bad posture and ensure it doesn’t cause harm to your body in the future. Can Bad Posture Be Fixed? You’ll be relieved to know that your poor posture can be corrected if you are willing to put in the work. However, remember that poor posture developed over a long period of time will typically take longer to address compared to short-lived issues, since joints will often adapt to long term posture changes. Maintaining awareness of your posture and knowing how to correct it will help rectify the negative impact of poor posture. With some practice, the correct posture for sitting down, standing, and even laying down will replace your old posture. These changes will gradually help you gain a better body positioning and reduce the risks and health issues stemming from poor posture. A chiropractor can better assess the current state of your posture and what it may have done to your body, especially your neck and back, and show how to adopt the correct sitting posture for your body and work. They can also provide recommendations for exercises to strengthen your postural muscles to help you get back on track and reduce your risk of health issues or injury. However; even with the perfect workstation setup, prolonged sitting at a desk to do work can lead to muscle atrophy, body strain, and stiff joints and muscles. People are not meant to sit still for hours at a time. But there is some good news– bad posture doesn’t have to be permanent, if you take steps to correct it. 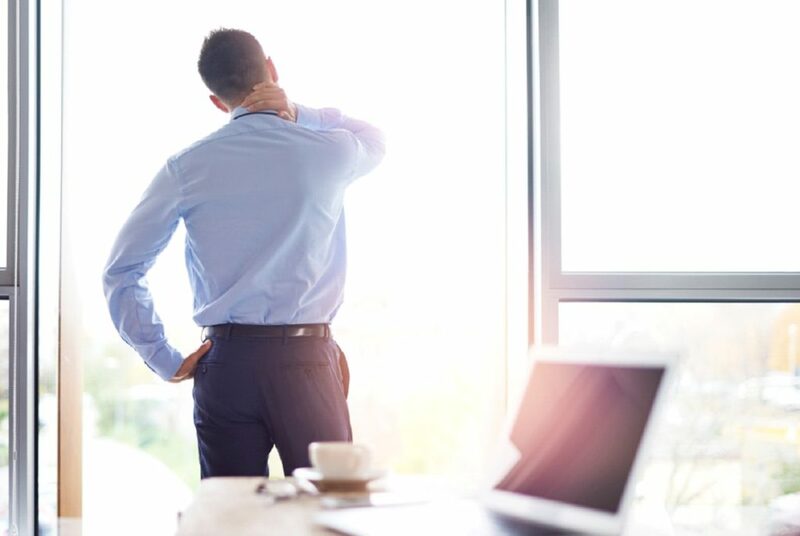 We’ve put together a list of steps you can take, in and outside of the office, to reduce the impact of bad posture from sitting at a desk during most of the workday. It’s not always feasible to just stop sitting, since many jobs require sitting at a desk or working on a computer for work. So, how should you deal with bad posture and its effects if you are stuck sitting 6-8 hours per day at the office? We’ve come up with a list of tips to help you reduce pain from bad posture and begin treating your body right. Make sure you are sitting correctly to help posture. Lot of patients end up with “text” neck or bad posture, hunched forward and down in the same position used for typing at a computer or texting on a phone. Once you become aware of slouching and bad posture, it’s much easier to correct and actively maintain good posture. You may need higher desk monitors or a more upright seat to ensure you sit correctly and don’t slouch back into old ways. A chiropractor can provide the recommended posture for you and instruct you on ways to maintain the correct sitting position. Many chiropractors and posture specialists have workplace wellness guides or conduct talks and seminars to ensure that individuals are sitting correctly and reduce the risk for workplace injury or poor posture. A doctor may suggest additional posture support to help you maintain your sitting position, including a back brace, special seat cushions or extra lumbar support. Many chiropractors and other physicians can point you in the right direction to choose a device or cushion that is right for your body and specific posture issue. Even if they do not suggest or provide special devices to adjust your posture, you may want to consider investing in an ergonomic chair or specially padded cushion that provides extra support. Lumbar support cushions and desk chair pillows take strain off sitting and make you more comfortable. There are also specific devices made to wear that encourage upright sitting and posture correction but be sure to research any products for safety and long-term effects prior to purchase. One of the most effective ways to improve your posture and minimize the negative health effects from sitting in one place for a long time is to get up and move around. Physical breaks also act as mental breaks, which build productivity. Take time to get up and stretch, go across the street to get a coffee or enjoy a short break. Try to get up and move around every hour or so-even if it is just a bathroom break or to get a drink. Take advantage of in-person visits as well. Instead of sending an email, see if you can talk to a colleague in person–this has the added benefit of ensuring clear communication and a faster response time. Do desk exercises to stay moving and active. Stretch! Move your arms, fingers, legs, and neck and twist and turn (appropriately). Learn a few exercises you can do every 1-2 hours that can truly help improve your posture and your neck position and pain. Moving and stretching periodically is great for relieving stress, increasing blood flow, and keeping you focused and awake. There are even under desk pedals and other exercise devices meant to keep you active and moving at your desk. If you have difficulty moving around the office, or are confined to one location, you may want to consider investing in a device or two to help you stay active or stretch while still sitting at your desk. Whether you work on the 5th floor or the 15th, consider ditching the elevator and taking the stairs. It’s true that you might not want to take those extra steps on stressful days, but the extra activity is a great start and end to your workday. This is one small step that can have large benefits. If you work on the top floor of a skyscraper, I’m not suggesting you climb all those flights tomorrow–take it slow. Depending on how many flights of stairs are in between you and your office, you may want to start out by taking the stairs once or twice a week, and then build up to a daily routine. Sustainable activities and life changes such as taking the stairs will help keep you active and increase the amount of time spent in an upright position. Utilize a standing desk and integrate it into your daily routine. 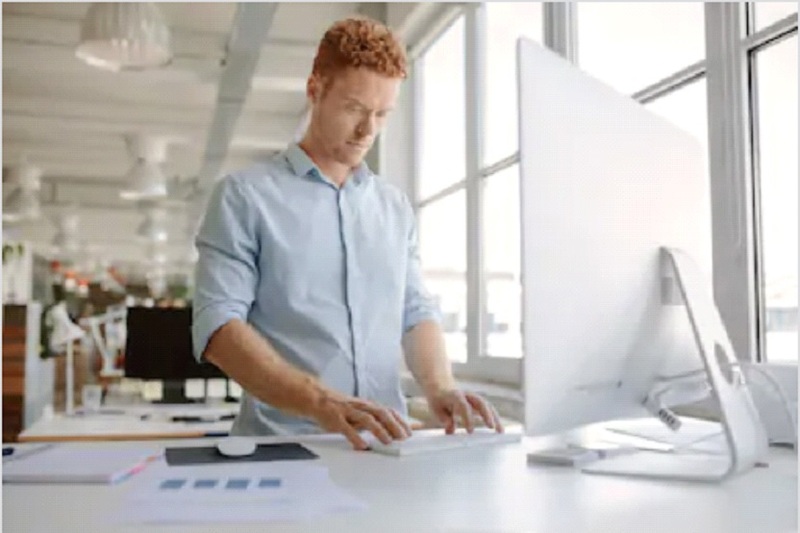 There are all sorts of standing desk options, from electronic to latching, and they are great for correcting your posture, staying active, and helping you to slowly build up to standing longer. Additionally, these desks have become so popular because they adjust to fit everyone with customizable height options and encourage healthier workplace habits. Your workplace may already offer standing desks, either free or subsidized. Many workplaces have already introduced standing desks, take advantage of them to reduce time spent sitting and increase employee productivity. In the first few days of trying out a standing desk you may want to go full force and spend all your time standing, but slow integration is the way to go. Slowly introduce standing at your desk into your daily routine to build up more endurance and strengthen your muscles. There are steps, both literally and figuratively, that you can take while outside of the office to improve your posture and minimize the impact of sitting at a desk or in front of a laptop screen during the workday. You likely spend the most time either sitting at the office or sleeping at home, but how you spend the hours in-between can really make a difference. If you are looking to be more active outside of work, take up a physical hobby or sport. There are many recreational sports teams for adults, indoor physical activities during winter and accessible gyms for working out. These activities are a healthy way to stay active and being upright and active can help reduce the negative impact from sitting most of the day. There are a plethora of indoor and outdoor physical sports and activities to keep you active, in shape, and healthy. Consider joining an adult recreational team or sports league, or take up a physical hobby such as swimming, running, tennis, golf, racquetball, climbing, yoga, or cycling–the list is endless. These activities can help boost your mood through endorphins and act as a balance to the 8 hours of sitting every day, but be careful not to over-exert yourself and start out slow. 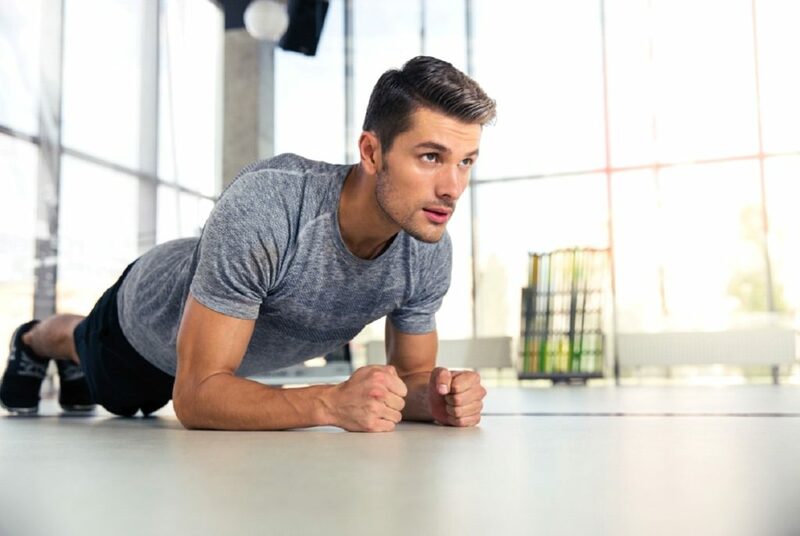 While staying physically active is a good life practice in general, it can also help reduce the impact of poor posture on your skeletal system and improve overall health. Try to incorporate more physical activities into your routine, such as going for a walk with your pet or taking advantage of a gym membership. Being active doesn’t necessarily have to mean an intense gym workout or marathon, although those are great too. It can be as simple as taking some time to stretch and do low impact yoga or taking a walk in your neighborhood or local park. Minimize time spent sitting or in front of screens- already spend 8 hours a day in that position, it’s the last thing you need to help correct your posture. A great way to incorporate entertainment while staying active/ without sitting is to walk on a tread mill while you watch shows or read, which has the added benefit of providing a workout and stretching your legs. Visit a chiropractor or physical therapist to keep track of your posture and overall health. They will address your current posture issues and determine the cause of your pain, and then make suggestions on ways to fix your posture for the better. Chiropractic care can ensure proper neck, back and spine alignment after long-term sitting for 7-8 hours per day. A chiropractor can help provide tailored suggestions for ways to improve your posture, including chiropractic alignments, exercises and stretches, and lifestyle changes. Having an expert to guide you to better posture and a healthier daily routine is a huge benefit as well!